redirect blog, blog redirection code, mobile site redirect, How to redirect mobile visitors to mobile site in blogger, redirect blog to mobile site automatically. Since mobiles and smartphones are trending many people use internet usually on mobile phones, only few use computers/laptops. People not only use internet for surfing websites but also those who own websites or blogs are updating and posting from smartphones. 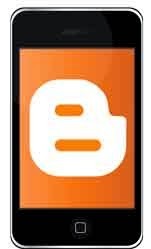 Specially many bloggers use blogger app in their smart phones for creating posts. Do you have any idea about those visitors who surf your blog from mobiles? visitors only enjoy blogs/websites on mobile phones when they are friendly to mobiles. You can see a mobile view in your blog by selecting Template, but unfortunately your blog isn't redirected to mobile site automatically, you can redirect it by adding /?m=1 in the link but only few people know that who are either bloggers or surf on internet very much but for those who don't know it you have to redirect them automatically and make your blog mobile friendly. So in this post you will learn how to redirect mobile visitors to mobile site in blogger. (2). Go to Template and click edit Html. (4). Replace Yourblogname with name of your blog. (5). Save the template and you are done! Thanks for visiting, share this post with others and help 101Helper grow. Follow by E-mail for latest blogging tricks. Tags: redirect blog, blog redirection code, mobile site redirect, How to redirect mobile visitors to mobile site in blogger, redirect blog to mobile site automatically.